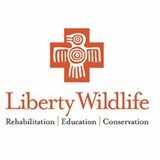 Liberty Wildlife envisions a time when wildlife is recognized as an integral part of our natural world, and a precious natural resource, to be protected and preserved. We envision a time when the community as a whole participates in the safekeeping of the natural world. To nurture the nature of Arizona through wildlife rehabilitation, natural history education and conservation services to the community.